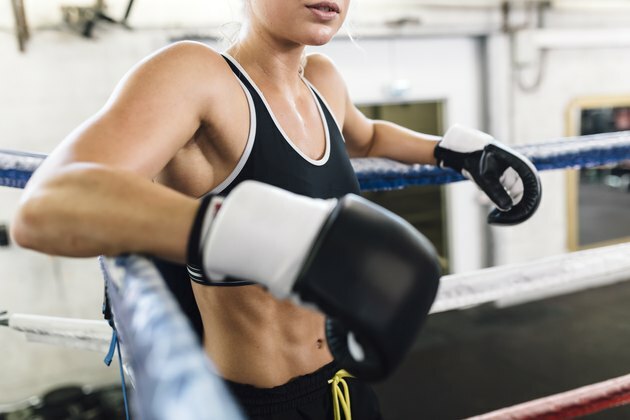 Take a peek at Instagram, and you'll see celebrities like Jennifer Aniston, Gigi Hadid and Adriana Lima getting active in the boxing ring or with a punching back. And with good reason! 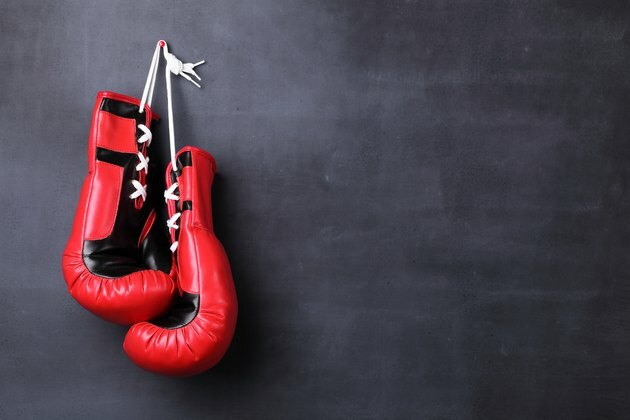 In 60 minutes, a 130-pound person can burn up to 708 calories in a boxing ring. But before you step into that ring, you need to arm yourself with the best boxing gloves to protect your fingers, knuckles and wrists. 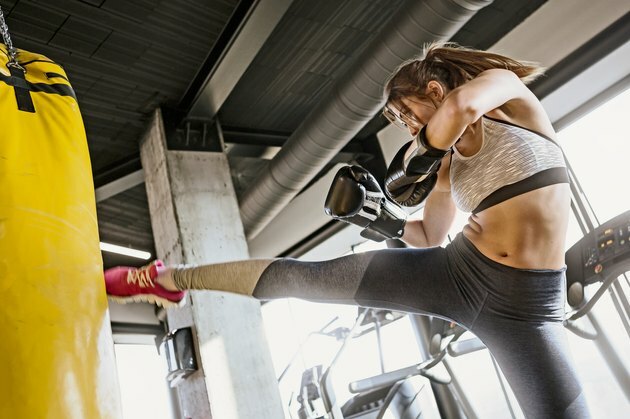 So Doug Ward, director of marketing for Title Boxing, a leader in boxing equipment design, and Glenn Holmes, head trainer at Box 'N Burn, Los Angeles, are here to break down everything you need to know about women's boxing gloves. Do You Need to Wear Boxing Gloves and Why? Boxing gloves offer essential protection and reduce the impact (for not only the person punching but also for the person receiving the punch) by spreading the force over the mitt versus a fist or hand. "For any kind of impact boxing like heavy bags or mitt work for example, there is a significant amount of force being generated into your hands, wrists, and knuckles," Holmes says. "It's essential to protect them with wraps and good gloves so you can continue to practice and train without risk of injury." Boxing gloves come in different shapes and sizes, and a lot comes down to a preference of fit, your goals and how you'll be using the gloves, but Ward recommends a 16-ounce glove to start. "They are heavy enough to provide good weight for arm strength and cardiovascular conditioning and are also padded well enough to provide the proper amount of hand protection." For training purposes, Holmes recommends a 12- to 14-ounce glove as the sweet spot, but agrees that the 16-ounce glove is popular because it has more padding and cushion. "It's also harder to box with the extra weight, so there is an endurance benefit to using heavier gloves." Once you're a little more advanced, though, you may want to opt for a lighter glove. "Those with more experience and good technique may prefer a 10-ounce glove," Holmes says. "A lighter glove will increase the impact on the fists, but allows for better form and train for speed." What Do Boxing Gloves Cost? Just because a glove is more expensive doesn't always mean it's better, says Ward. "It comes down to fit, feel and personal preference," he says. "Don't judge quality simply by price because, in some cases, a $30 glove may work better than one that costs $150." Take Winning (Japan), for example, Ward says. They're some of the highest priced gloves on the market. But for someone looking for a good glove within a budget, he can't help but recommend Box 'N Burn training gloves. "We pulled together our favorite styles and created a hybrid that I think is great for everyone." But regardless of price, for your basic glove, Holmes recommends spending at least $100 if you plan on boxing more than once a week. "It's well worth the investment," he says. Adding that anything less is either not going to be as durable or is less likely to provide adequate protection and comfort for your training. Do Kickboxing Gloves Differ from Boxing Gloves? Wards says there really isn't much of a difference between kickboxing gloves and boxing gloves. "Japanese kickboxing came about in the late '50s so most gloves initially had a more Asian-influenced design, with a shorter cuff. The gloves used today are more basic boxing gloves, simply cross-utilized," he says. And Holmes adds that if you're looking for a kickboxing glove, Hayabusa tends to lead the way with kickboxing and MMA (mixed martial arts) gloves. The main difference between boxing gloves and MMA gloves is the latter separates and exposes the fingers while kickboxing and boxing gloves are more like a mitt and cover the entire hand. What Are the Best Bag Gloves to Use? This really comes down to personal preference, says Ward. "In my experience, because a beginner may not be as technically sound and hasn't perfected how to throw their punches, you are better off starting with a glove that is slightly forgiving." Bag gloves are constructed with injection-molded foam or gel padding to absorb impact better, shape to your fist more and help compensate for a punch that doesn't land accurately and could potentially damage your hand, he says. And unlike sparring gloves, according to the Title Boxing website, they don't have as much as much "give." Can You Box With Training Gloves? Properly designed training gloves are a hybrid of bag gloves and sparring gloves, says Ward, and can be used for either. "Their padding is constructed to withstand the full contact and constant pounding on heavy bags, but also soft enough to be used in sparring," he says. He goes on to explain that better training gloves will typically feature a wider cuff for wrist support, as well as inset labels to prevent scratching an opponent. "These both differ from sparring gloves that almost always have a lace-up closure system," he says. But can you box with training gloves? "Yes, they are essentially the same thing," Ward says. "Any hook-and-loop training glove for punching a bag or using them as a fitness glove will do the same job." Are Women's Boxing Gloves Different From Men's? There really isn't a difference between gloves that are made for women versus men — with one exception, says Ward. "Most women require a smaller hand compartment because their hands tend to be more narrow." Regardless of the glove and who it's for, he emphasizes that the most important feature is that the gloves are well-padded and provide the optimal amount of protection from injury. As with anything you wear or equipment you choose, fit and function are paramount. Hand shapes and sizes are all different so above all, you'll want a glove that feels good to you, says Ward. "It should mold to the shape of your fist properly, without feeling too tight or too roomy." He compares a good pair of boxing gloves to breaking in a pair of jeans. "They should, in time, break-in like a comfortable pair of jeans, to where they feel like they were specifically made, just for you." What Should You Look for in a Boxing Glove? Boxing gloves should slide on without a lot of effort. They should feel snug but not tight, and there shouldn't be any pressure on your knuckles. They should be flexible to catch and clutch your hand inside the glove. The gloves shouldn't make your hand feel cramped or restricted. It should also be pre-curved to encourage a tight fist. There should be adequate padding to hit, without feeling the punch in your hand. The closure should provide additional support and security. Choose a mesh palm so it can easily dry out between uses and will allow the glove to last longer. Determine the right weight: Heavier gloves provide more padding and are good for punching bags while a lighter glove is ideal for speed work. What Is the Ideal Way to Put On Boxing Gloves? "Have someone hold the glove for you with the fist facing the floor, and then push your fist all the way down into the glove," says Holmes. And now you're ready to go!